Thanks for visiting my Boise Web Design blog once again! Today I would like to proudly share with you my latest redesign project for the Wireguys in Meridian, Idaho. 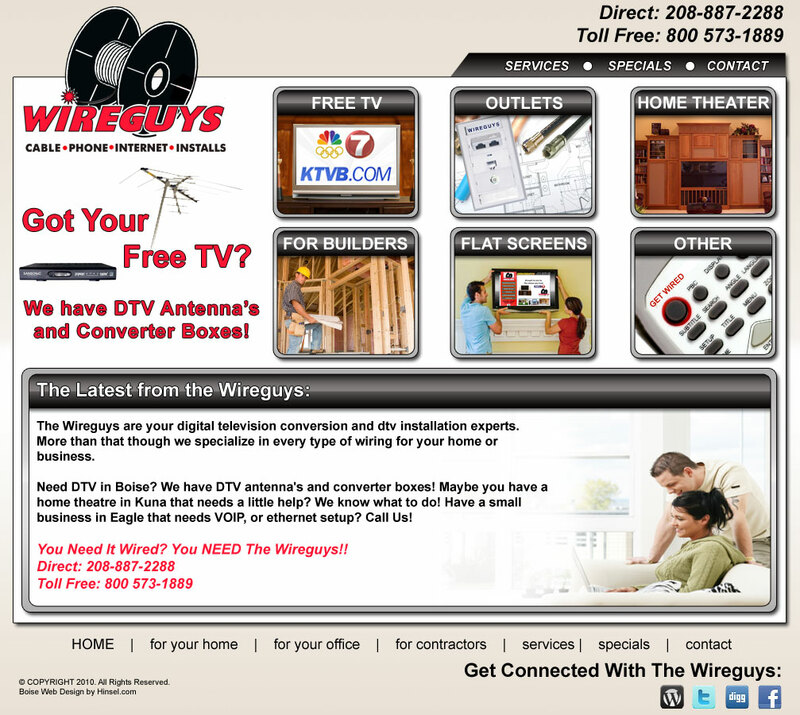 Wireguys provides the best HDTV installation and conversion services in Idaho! Over the course of the couple of years I have been working with the Wireguys and doing their online marketing I have to say I’ve been really impressed with the dedication to quality shown by everyone there. They can get you into the 21st century so you can join the HDTV Revolution in Boise and start enjoying high quality high definition NO FEE TV in Boise Idaho ! Check out their website to see my latest Boise Web Design work, and give them a call to schedule a time for one of their experienced techs to come out and get you wired! Wireguys also specializes in Flat Screen Installation, residential wiring, outlets of all kinds, Idaho business wiring, and much much more! If you need it wired – you NEED the Wireguys! !